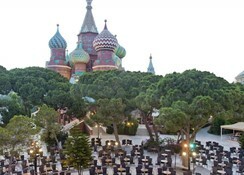 PGS KREMLIN PALACE in Kundu has 874 rooms and was renovated in 2011. The hotel is located 50 m from the sandy beach. 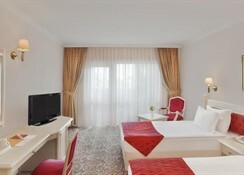 The closest city to the hotel is Antalya (17 km). To make your stay more comfortable a lounge, a conference room, a lobby, a hairdresser, air conditioning, shops, 10 elevators, a mini market and a reception are available. The staff in this 6 storey hotel speaks English, Russian and German. Mobility on holiday is simplified through car hire. A playground for children is available. 3 fresh water swimming pools, seasonally open with a separate children's pool are available. A poolside bar is on site at the hotel where guests can unwind with a drink. Sunshades and sunbeds are available free of charge at the beach and at the pool. Distance from the hotel to: airport AYT (15 km). The hotel is within easy reach of city centre and taxi stands. Guests with disabilities are catered for, and the hotel ensures the presence of the following amenities: wheelchair suitable bathrooms. For your entertainment the hotel features a disco. Vehicles may be parked in the parking lot. For convenience the following services are offered: ironing service, room service, wake-up service, medical care, laundry service, babysitting and maid service. Internet access is provided at wifi-hotspots. This family friendly hotel offers a children's pool, babysitting service, a child club and a kindergarden to ensure a comfortable stay for parents as well as young guests. 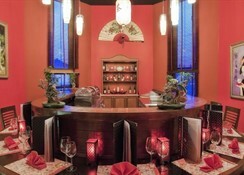 The hotel offers a conference room where the following are featured: internet access and catering service. Reception hours: 24h Service. 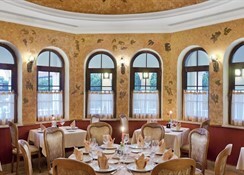 The breakfast type is Buffet and it is provided from 07:00 - 10:30. A snack bar is also available throughout the day. Evenings can be spent at the lobby bar. All-Inclusive: All-Inclusive includes beer (Service Hours: 10:00 - 01:00), softdrinks (Service Hours: 10:00 - 01:00), snacks (Service Hours: 12:00 - 16:00), wine (Service Hours: 10:00 - 01:00), local spirits (Service Hours: 10:00 - 01:00), cake and pastries (Service Hours: 14:00 - 17:30), midnight snacks (Service Hours: 00:00 - 05:00), coffee and tea (Service Hours: 10:00 - 01:00) and imported spirits (Service Hours: 10:00 - 01:00). 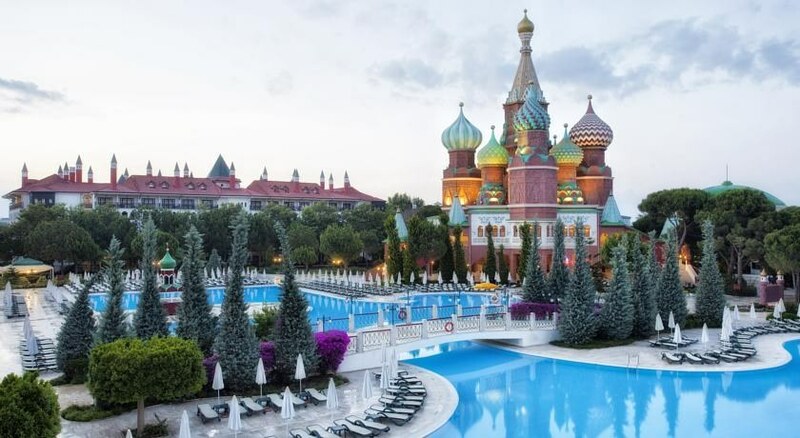 At Wow Kremlin Palace recreational amenities include a relaxation room, a steam room, a Turkish bath, a whirlpool, massages, a hamam, a sauna and a spa. Activities such as darts, a game room, boccia, archery, billiards and table tennis are offered at the hotel. Guests who wish to be active on holiday can enjoy activities such as beach volleyball, tennis, basketball, exercise in the fitness room and aerobics. Water sports such as jet skiing, wake boarding, water skiing and speed boating are available at the beach by local providers. 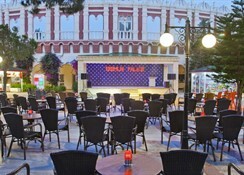 The hotel offers the following , for guests to enjoy (weather and season permitting): live music. Had a great time here in June & so glad we never booked next door Top Kapi as it's getting refurbished. A great resort to chill and enjoy.